There have been times in my past when I’ve let myself get so overcommitted I thought I was going to lose my mind and be committed. 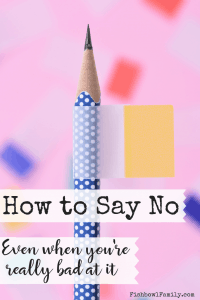 This post, How to Say No, contains affiliate links for your convenience. 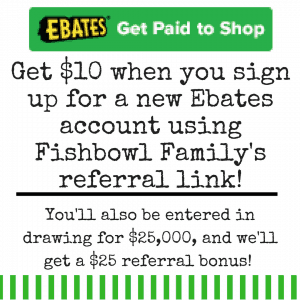 This means that if you make a purchase using our link, we will receive compensation at no additional cost to you. You can read our full disclosure policy. It seems like there is something hardwired into women to make us want to say “yes” even when we know we shouldn’t – just ask Eve. To combat this, I’ve developed a system for myself. And while it hasn’t been easy learning how to say no, it has been totally worth it. 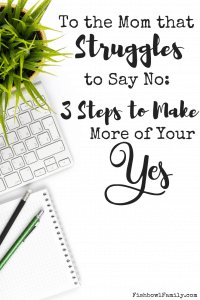 I use these three steps to say “no” to the wrong things, so I can say “yes” to the right things. Even if the cry of your heart is, “YES!!! !” take at least one day and think about it. When emotions get involved, you can forget practical things like prior commitments. This is why car dealerships do all they can to keep you from leaving the store. They sell us a feeling that comes with a car and a payment plan. My first step is always to pray about it and seek God’s guidance. I also talk to my husband about how it will affect our lives. If it’s a big decision, I seek the counsel of wise friends. If you’re being asked to do something big that is so pressing that you can’t take one day and think about committing to it, you should probably just say “no.” That project is already putting pressure on you, and that pressure will only get greater the deeper you go. The flip side of this is true also. You may want to give an instant “no” when asked to do something, but after consideration realize you actually are interested. This is how I feel about most volunteer work. I already spend most of my days as a stay at home mom doing unpaid work. So when someone asks me to leave the house to volunteer… they can see the no brewing on my face long before they hear it. However, every time I’ve volunteered my time, I have been blessed immensely. Volunteering is a great way to not only give back but also to recenter yourself. It’s hard to feel sorry for yourself when you are serving people in need. So, before you give any answer, take at least one day to think and pray about it. Talk it over with your family and friends. Then your answer, yes or no, was reached with deliberation and thought. That’s much better than a guilt-driven yes delivered as you dash off to another commitment. I picture the people in my life in a series of concentric circles, like a target. My immediate family is in the dead center. They are my bull’s eye. I place everyone else in my life into another ring. The further from the center, the less of a priority they are. I’m not saying the outer circle people don’t matter; they just aren’t my priority. If someone outside of the center asks me for something, I first consider how it affects the people in my bull’s eye. If they’re good, then I consider the request. The bull’s eye people get most of my yeses. They are my priority. As long as I remember that, it’s easy to say no when someone in ring three asks me for something that will negatively impact my bull’s eye people. This may sound callous, but it’s not. If I don’t keep my family the priority, then they’ll never be anyone’s priority. If my husband and kids aren’t my priority, they won’t be anyone’s priority. Your husband and kids deserve to be your priority. All of the other awesome people in your life should be someone else’s priority. That’s not to say that you shouldn’t help them. But, you shouldn’t help them if it’s detrimental to the people at your center. Someone once asked me to write on a chalkboard for a senior photo shoot. I was totally flattered and wanted to be helpful, so I said yes. I tried my best, but I have horrible handwriting. I looked on Pinterest and tried to copy a cutesy font, but being left-handed, it kept smearing. When I saw the photos, I felt awful. The chalkboard was used for every senior’s yearbook photo, and it looked bad. If someone asks you to perform a task that is outside of your expertise, redirect them. I have a friend who is an art teacher. She is all kinds of creative. She even has her own Etsy shop where she paints amazing designs on canvas shoes. I mean, she is super talented. So why did I not suggest her for the chalkboard? I know that if I had followed step one and taken some time to think about it, I probably would have volunteered her. I see over-committed people in every part of life, every company, every government, and every organization, but it runs rampant in churches like nowhere else. There are a few people in the church who are always ready to help. Whenever something needs to be done, they volunteer. The church ends up having the same people volunteer for everything. 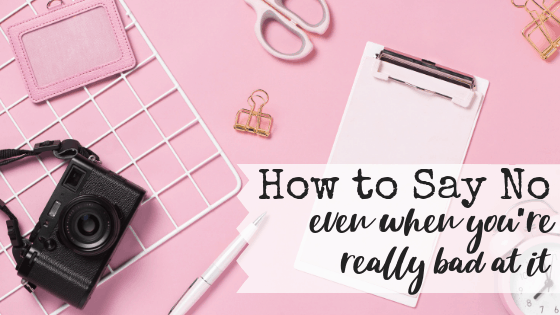 If no one volunteers, people tend to ask the person that’s already the VBS Director/Children’s Choir teacher/Wednesday night Director/Sunday School teacher/van driver/baseball coach/mother of two with a full-time job. She of course says yes and adds another role, another meeting, and another priority to an already filled schedule. It robs other people of the joy of serving and often puts a task into the hands of a person who is less able than the person who was hesitant to volunteer. Imagine it going a different way. What if you, the amazing multitasking, do-everything mom, stopped and took a day to think about volunteering? You might decide that in this season of life, your daughter needs a little more of your presence. You may think of someone else who is able to do the job better with more time and a deeper passion. Trusting God to fill the position with another totally awesome person may absolve you of your guilt at saying no and allow you to get some rest. This is a cycle that leads to more engagement and less burnout. It is a cycle where things get done better. It is a cycle where everyone wins… even you. What is your biggest struggle in learning how to say no? Tell us in the comments! Thanks for your advice. I find that I can often be too quick to make a decision. 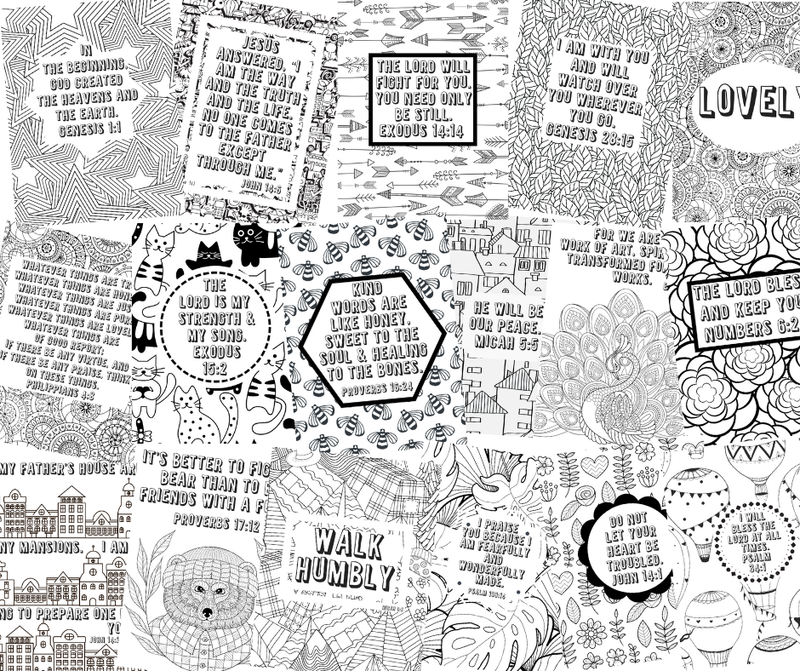 I’m going to try and be more mindful and keep these in mind. All the best! In ministry, it’s easy to say yes because we want to serve God. But being overcommitted and bitter hurts more than it helps.